My soul makes its boast in the Lord; let the humble hear and be glad. Oh, magnify the Lord with me, and let us exalt His name together. Such worship extols and lifts up the Saviour and it satisfies His heart. Such songs of glory are a sacrifice of praise that so delights the Lord. 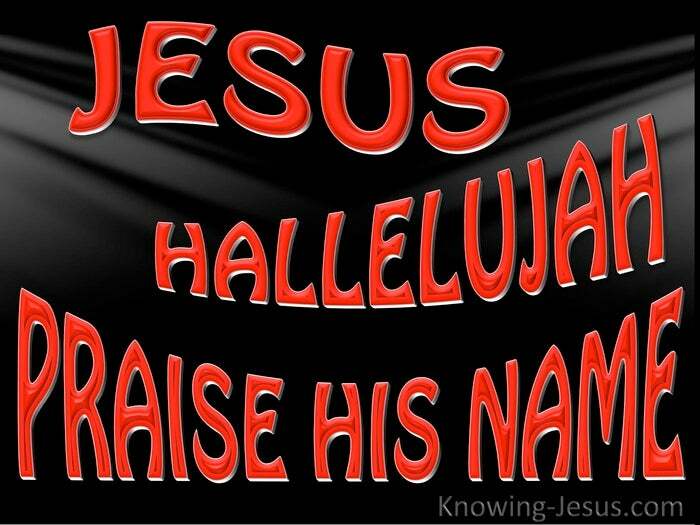 The believers’ sacrifice of praise is the fruit of his lips that acknowledge His name. Thanks and praise to the Lord satisfies the heart of God. Thanks and praise to Him are a tree of life.. to both the speaker and to the listener. Thanks and praise is a great healing river, in the heart of the one who offers praise. They are a river of life that touches and cleanses every deepest need in man’s soul. I once experienced deep pain and hurt that tore my heart apart. My heart was broken, my soul was lacerated. I was utterly bereft and in deep anguish. My voice was as broken as my heart. My speech was raspy.. and not one note of song could pass from my throat. Through a mist of tears I started to whisper praises as best as I could.. and little by little through nine seemingly endless long months, my voice returned. I first lifted my aching heart and my breaking voice in a Sacrifice of Praise.. and the deep, depressive darkness gradually lifted from my hurting soul – as I recorded first soprano, then bass, tenor and alto of a glorious chorale onto tape. The Lord gently restored my soul.. as I offered to Him my little Sacrifice of Praise. There have been other times of anguish that I have experienced since that time. Times of pain; times of rejection; times of bereavement; times of spurnings.. as well as special times of joy and glorious days of gladness. Since that time, some 20 years ago, when darkness and anguish disquieted my soul, God has gently led me back to the importance of praise in a believers heart.. but on every occasion it has been through a Sacrifice of Praise to the Lord.. that He has lifted me from the miry clay and once again set my feet on the Rock. 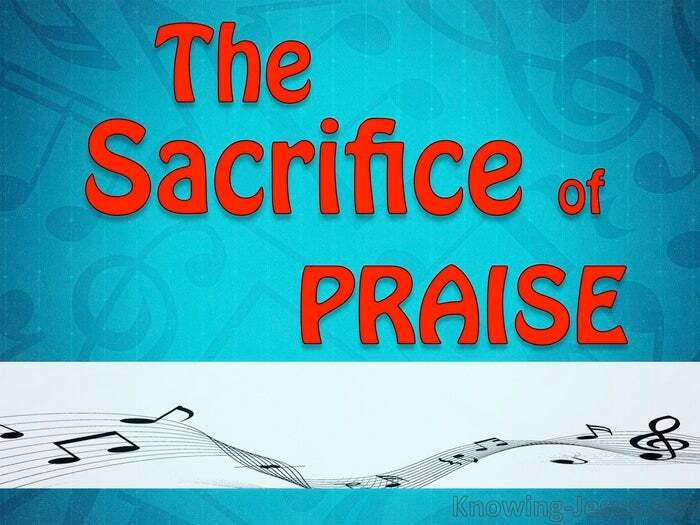 Always a Sacrifice of Praise was the preeminent means of my health and healing. And over those twenty years of struggle and joy, pain and hope, He has graciously shown me the other side of the coin from the Sacrifice of Praise. It is the Sacrifice of a broken heart, a contrite heart, a heart fully open to Him. He takes a heart that has been hardened by the cruelty of life.. and He lovingly breaks it. He takes a heart that is resistant to His love through the brutality of life – and He melts it with His love and He mends it with His mercy. It is such a heart that he dresses with humility and grace., not to shatter into despair, but to melt and remake into a heart like unto His heart. It is a heart fully yielded to His Spirit.. but it is a heart prepared to be broken and crushed by Him – a heart that kneels in deep humility before the cross of his Saviour. This is the heart that is healed by His touch and mended by His grace and mercy. This is the heart where motives as well as actions are submitted to His surgery. This is the heart that we each seek as He draws us ever closer to the Father-heart of God, but it is painful, very painful, very painful indeed. It is the Sacrifice of Praise combined with the Sacrifice of Brokenness.. that is the most effective tool that the Holy Spirit uses in the lives of countless saints. Some months ago I recorded the same anthem.. not from a heart of brokenness, but as a joyous Sacrifice of Praise to Him. It is not the miracle of a restored voice or a lesson learned that causes my tears of rejoicing.. but it is the miracle that through His death on the cross.. that He forgave me all my sins. It is the miracle.. that He loved me enough to die for such a sinner as I. For when He saved my soul He started the process of cleansing and wholeness.. He set me on the track of being conformed into the image of Christ.. through brokenness, just as He has done with all His saints. For He Who started a good work in each of us will complete it to His glory. I still have a long, long way to go – as we all do.. for it is only when we see Him that we will be fully cleansed and made entirely whole.. but Remember:- every time He breaks your heart.. He draws you a little closer to Himself.